What Happened to Take-Two Interactive? Take-Two Interactive’s stock took a bit of a dive following an all-time high. What happened? On January 26th, in after hours trading, Take-Two Interactive (NASDAQ: TTWO) was surging; it hit an all-time high at $30.80 a share. The stock jump followed a massively successful 3rd quarter earnings release, where the releases of Rockstar’s GTA V for next-gen platforms, and 2k’s NBA 2K15 across a variety of consoles were very well received, not to mention releases of a new Sid Meier’s Civilization title, a new Borderlands title, and WWE 2K15. These titles went gangbusters across their various platforms, selling like hotcakes. However, a little over a month later, Take-Two Interactive is trading at $25.21 per share, an almost 20% drop. So, what happened? Between Take-Two’s third quarter release and now, the company has released Evolve, a game revolving around 4v1 team-based battles, and the Hall of Pain WWE 2K15 DLC. The company put a tremendous amount of ad money behind Evolve, similar to what Bungie did with Destiny, but with a release date falling two weeks after Dying Light, which ended up being a smash hit, it limped out of the gate. Evolve struggled in sales and generally failed to deliver on the amount of hype it had build up. The company has announced only a few new titles in the indefinite future, including Borderlands: The Handsome Collection, GTA V (on PC), Sid Meier’s Starships, and Battleborn (released sometime in fiscal 2016). Take-Two will obviously rely on their blue chippers in the fall, when NBA 2K16 and WWE 2K16 are released, but between now and then, they don’t really have a ton of titles schedule to bring in massive amounts of income. 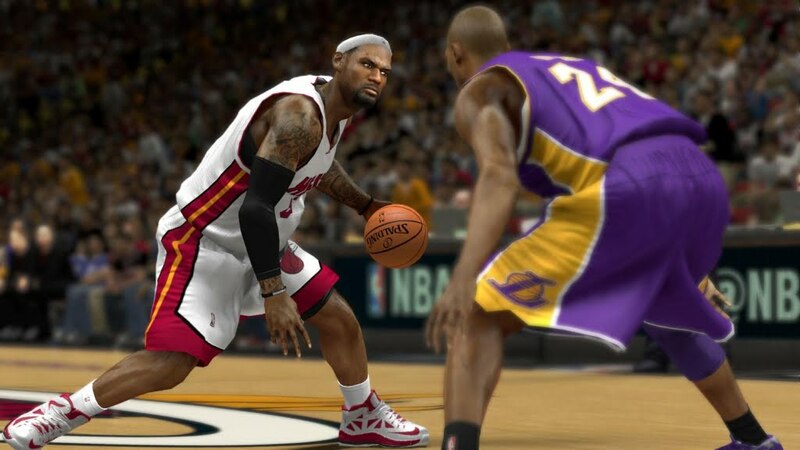 The NBA 2K series is routinely one of the year’s hottest sellers. Overall, the company will be fine, and long term, they are a solid investment with a great front management office. Short term, however, their stock will most likely continue to fall, or at best, sit idle. They are making huge pushes to deliver more digital content, as their digitally-delivered content grew 64% year-over-year, and they have several fantastic IPs under their umbrella. However, unless GTA V blows away its sales expectations on PC, and Borderlands: The Handsome Collection breaks the sales mold for HD-Remastered games, it might be a little while before Take-Two is surging again.